The Joyful Entry in honor of King Philip and Queen Mathilde. As is the tradition, The King and the Queen had the opportunity to meet the provincial authorities and the burgomasters of the communes visited. But also to officially greet the population. After the speeches, the King and Queen signed the Guest Book and received various welcome gifts. 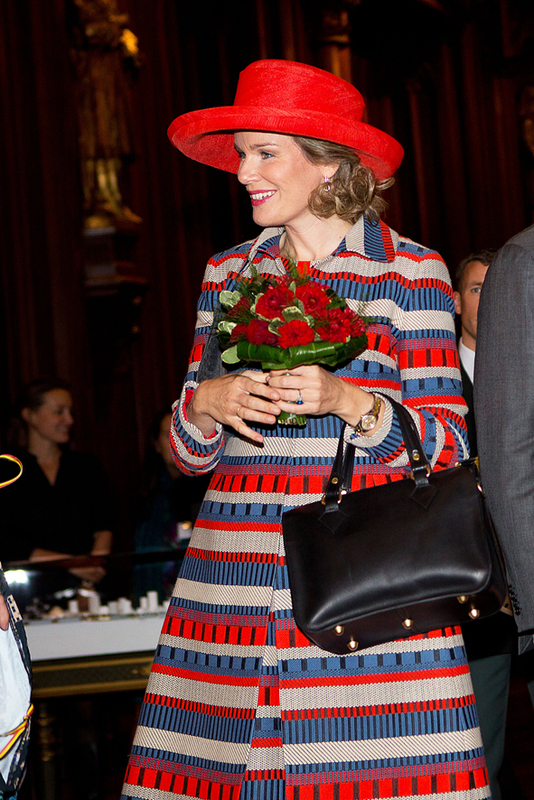 During this ceremonial in 2013, the queen Mathilde of Belgium received a NIYONA handbag, the Stella.